Whether you’re a new or experienced mom, prenatal care is perhaps the most important thing you can do for your baby and yourself. Prenatal care should start upon thought of conception and last throughout your entire pregnancy. It is far more than just eating right and exercising…it is preparing and protecting your body and the health of your unborn child. The goal of quality prenatal care is to detect and prevent any potential problems as soon as possible. By actively participating in good prenatal care, you are playing a part in reducing the chance of complications. Our goal is to make this special time in your life both as pleasant and safe as possible. 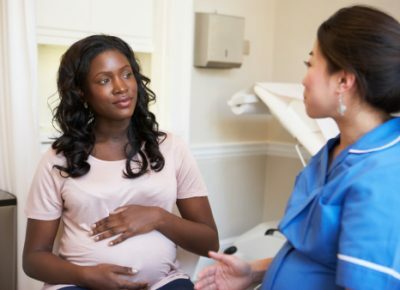 Regular prenatal visits give us the opportunity to screen for pregnancy-related diseases, follow your baby’s growth, monitor your blood pressure and, most importantly, answer your questions.